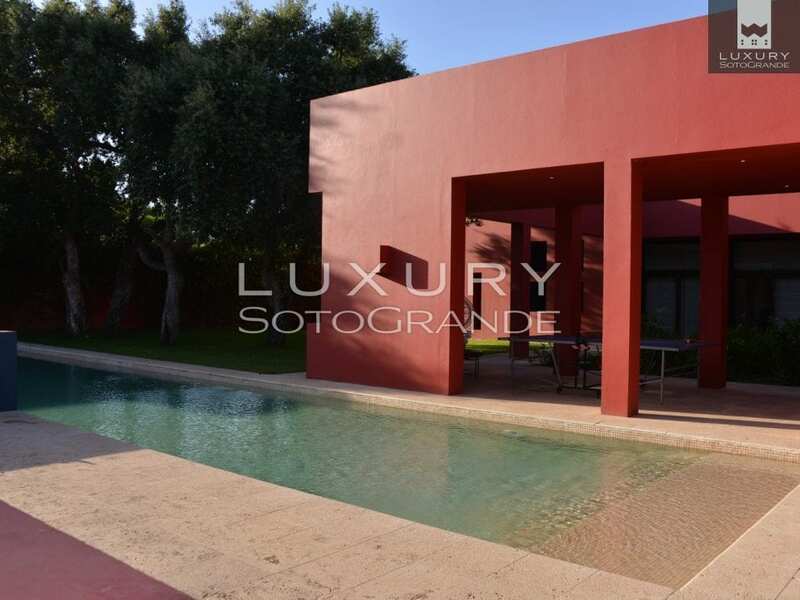 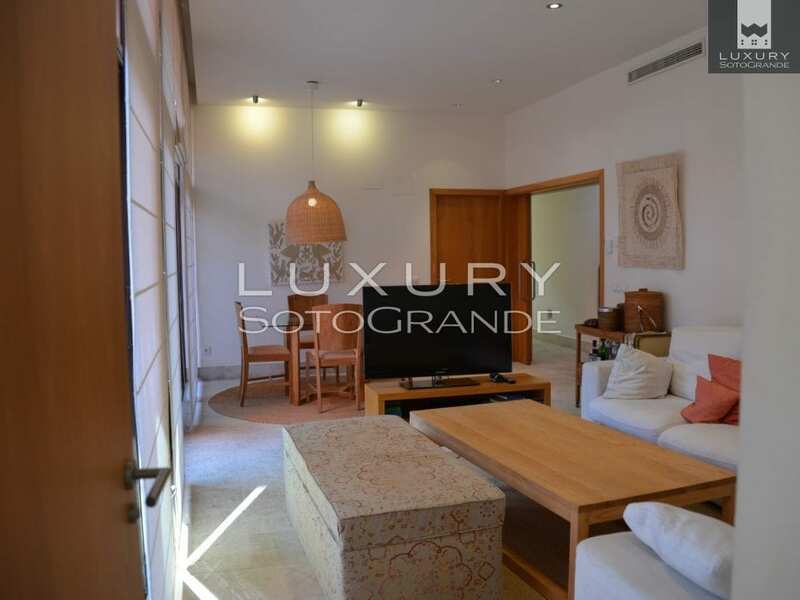 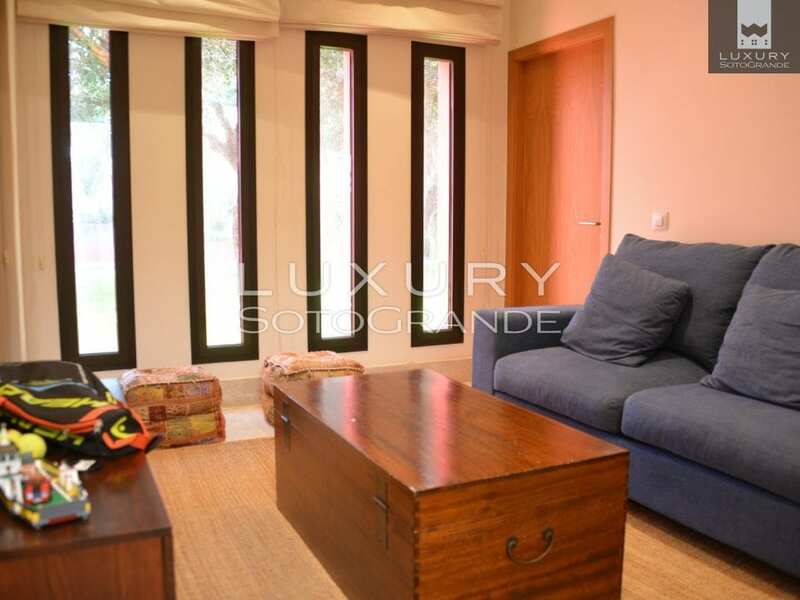 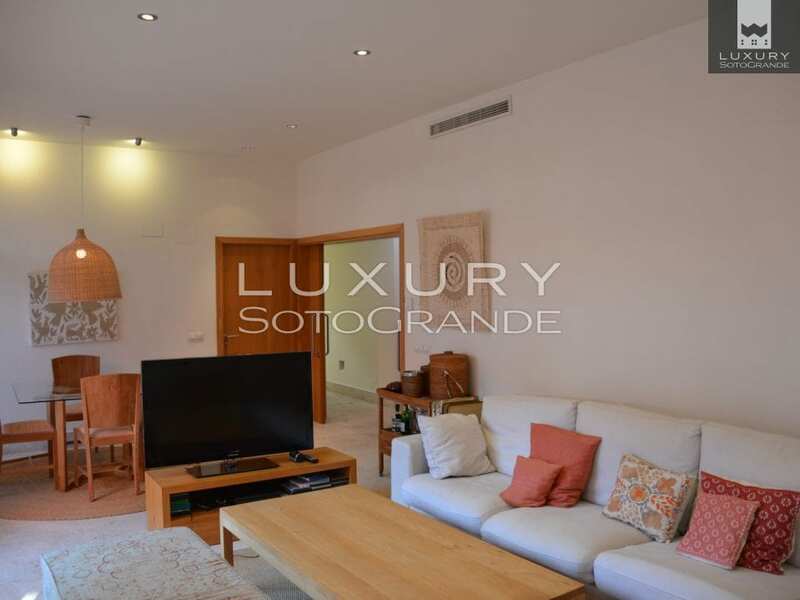 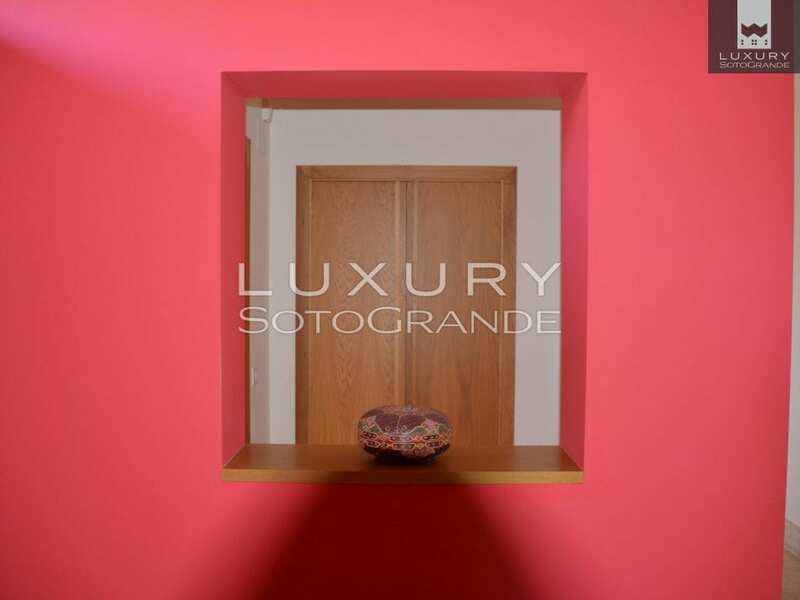 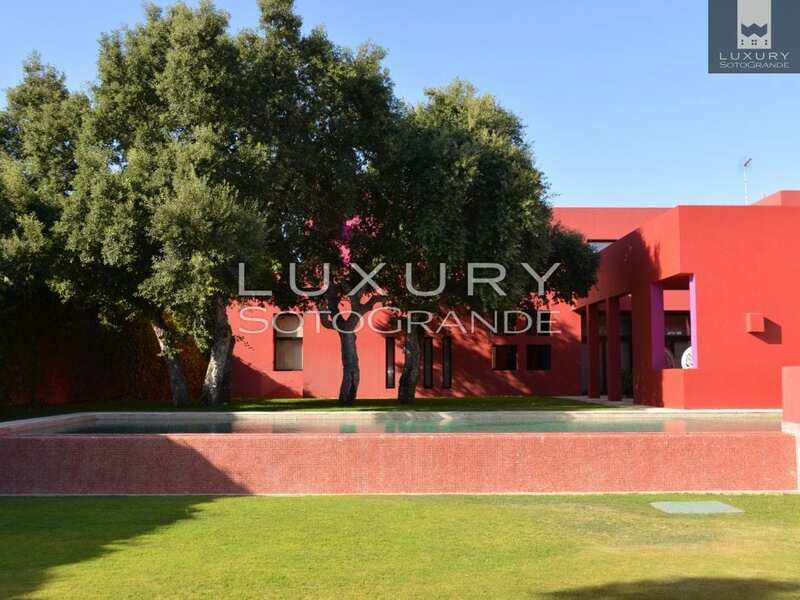 Villa Maria is a stunning luxurious contemporary villa complete with its own guest apartment located on the sought after Costa side of Sotogrande, walking distance to the beaches, beach clubs, tennis clubs,bars and restaurants. 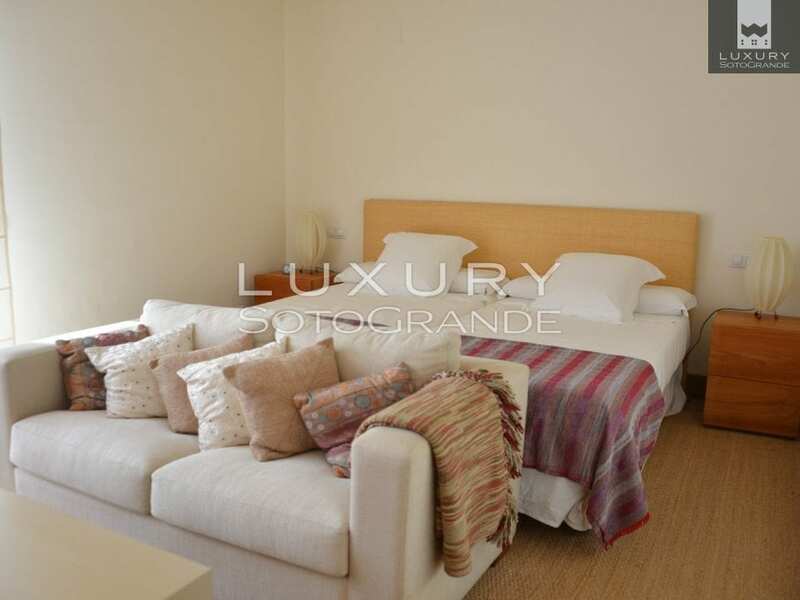 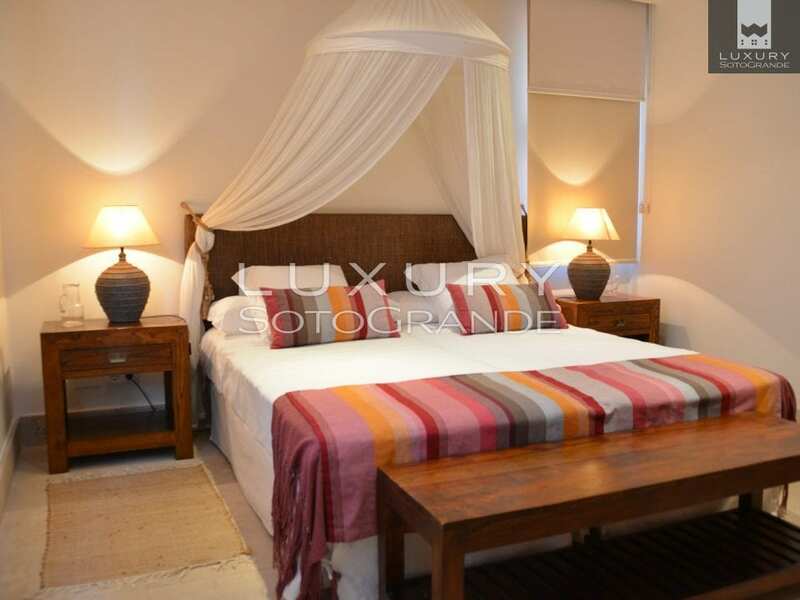 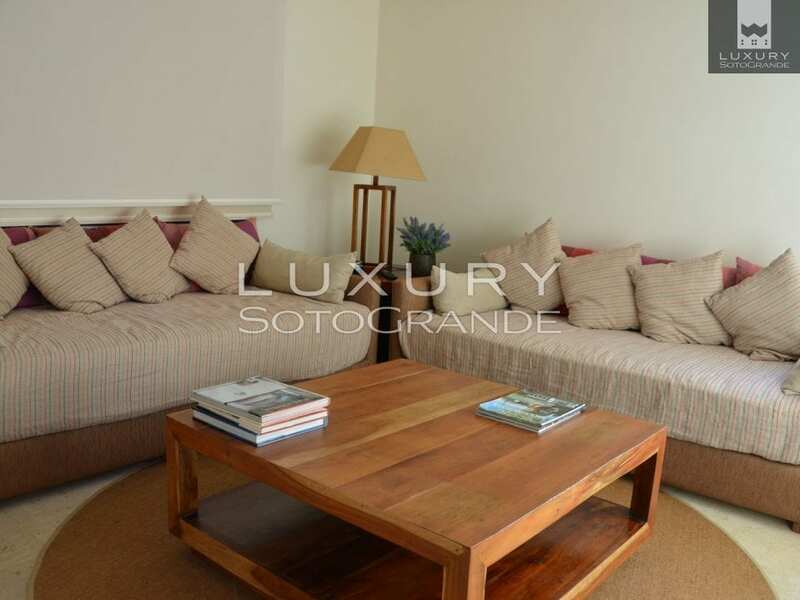 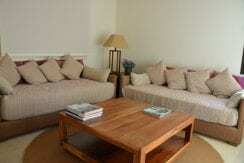 On the ground floor there are 3 well decorated excellent sized double bedrooms and one single. 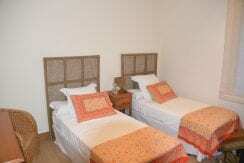 There is an additional bedroom for live in staff. 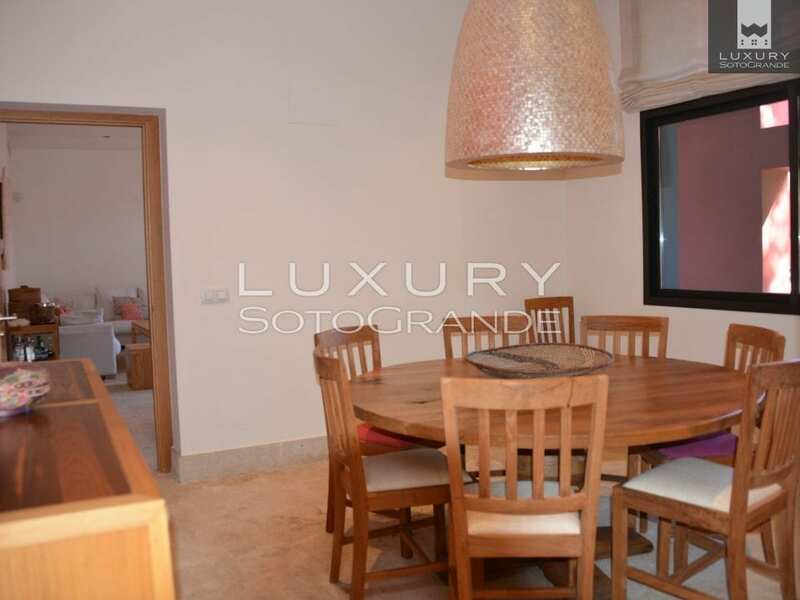 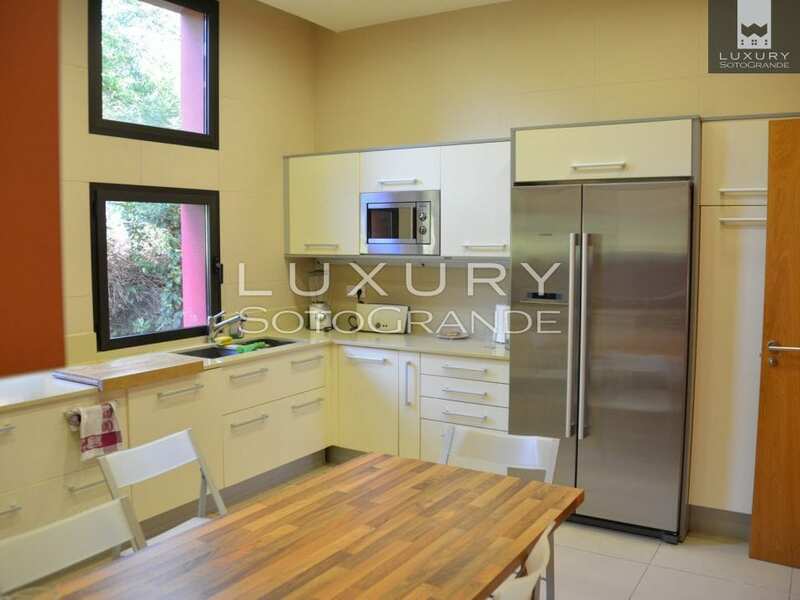 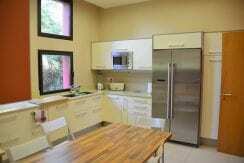 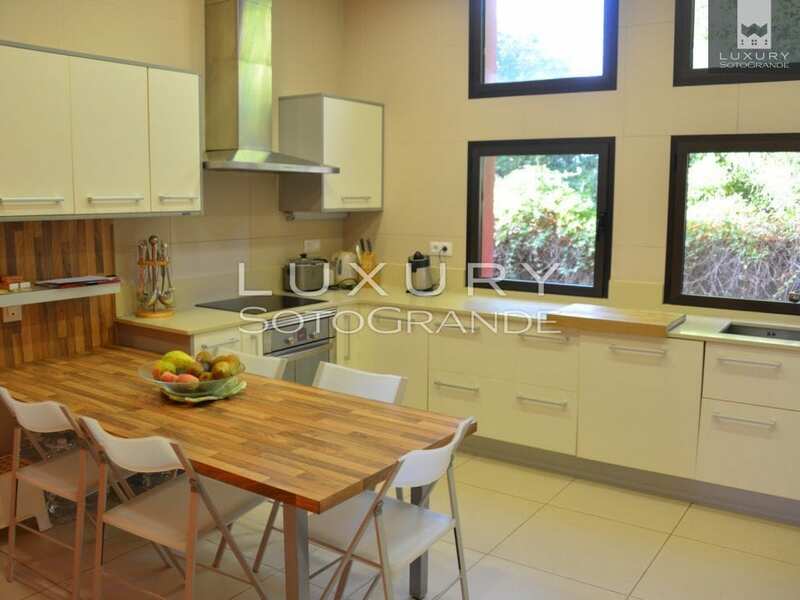 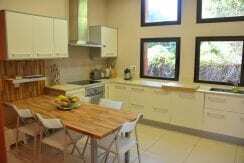 There is a fully equipped kitchen, dining room and bright and airy living room. 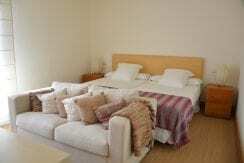 On the first floor the magnificent master bedroom suite comes with his and hers bathroom and dressing room. 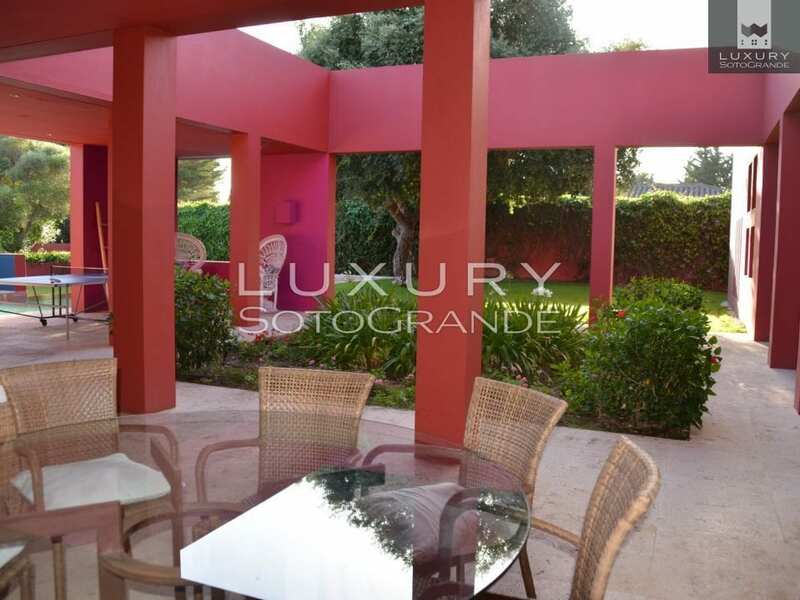 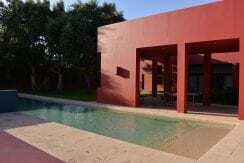 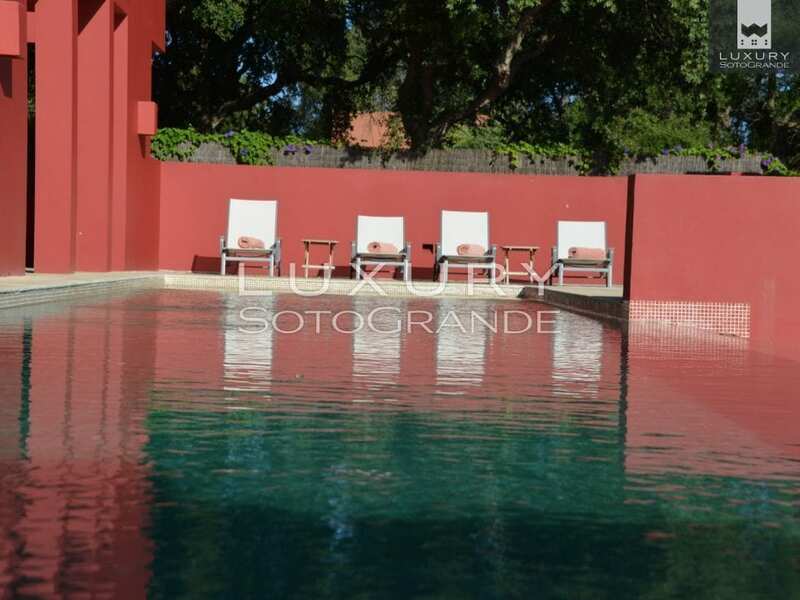 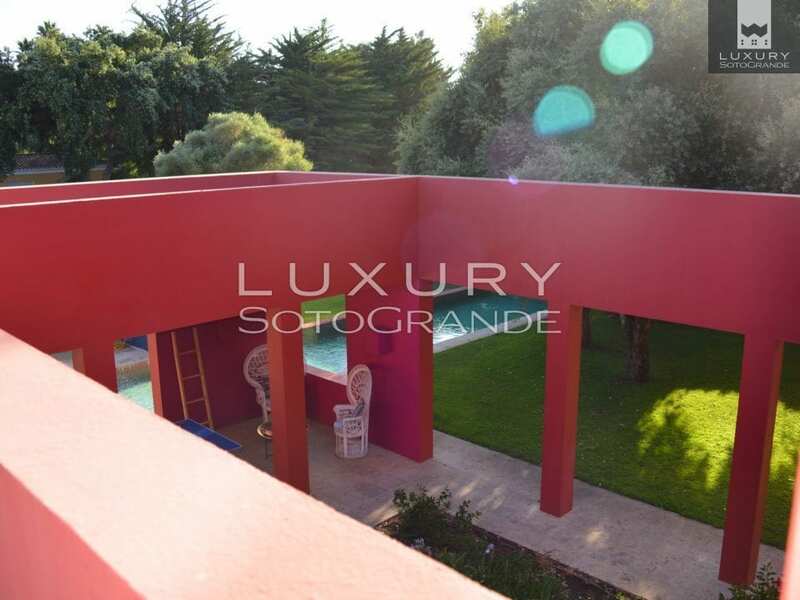 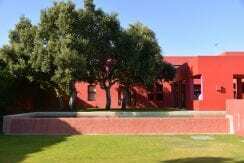 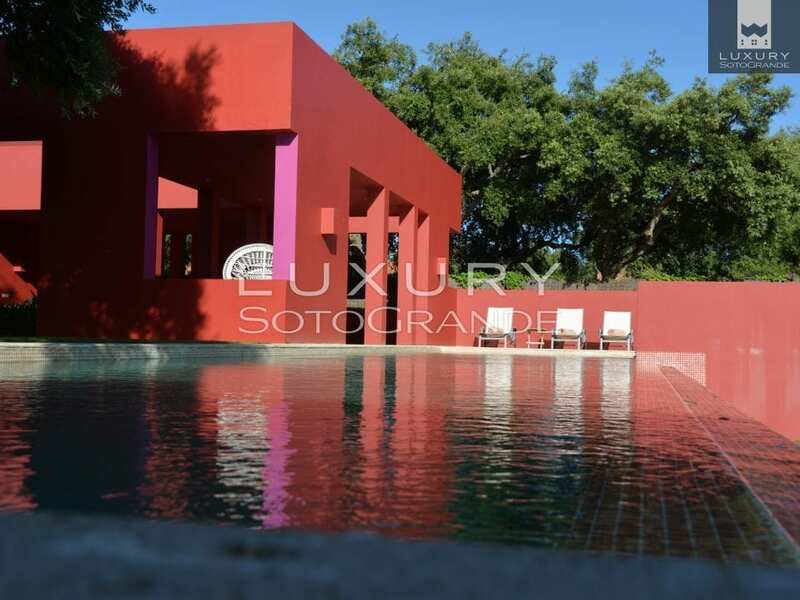 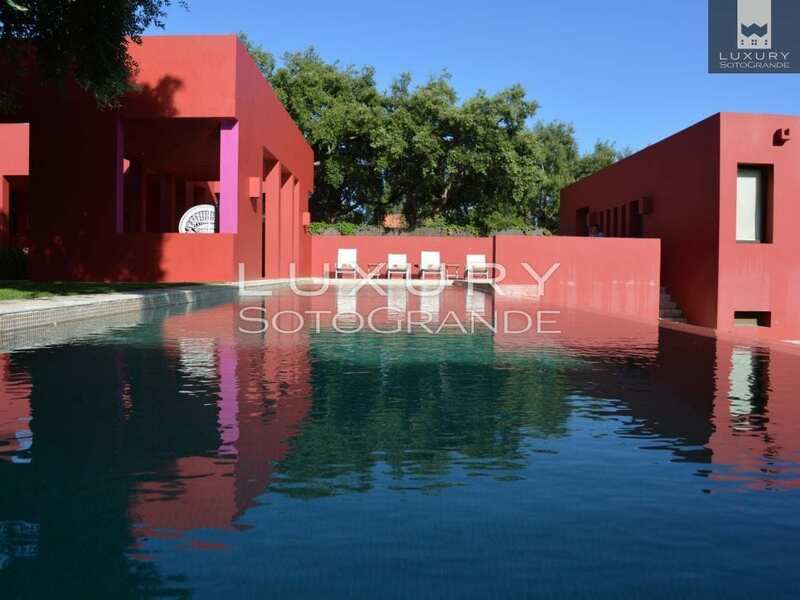 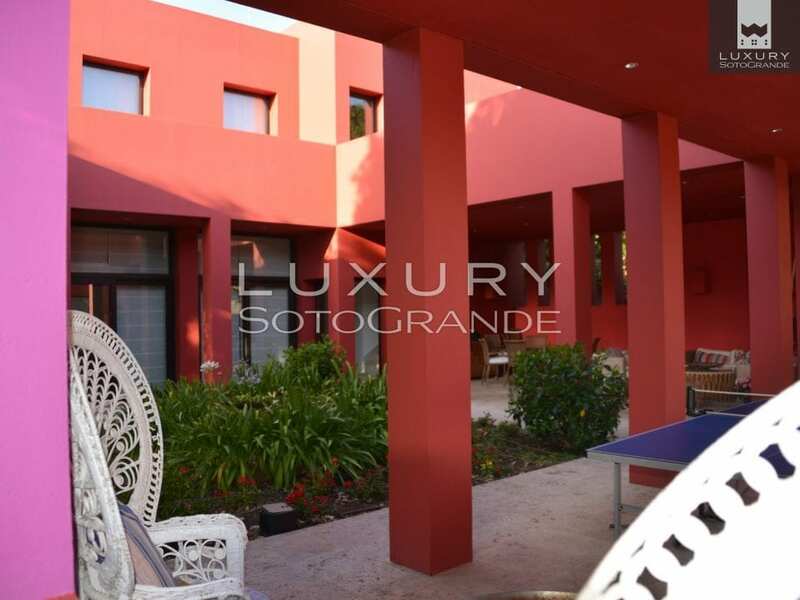 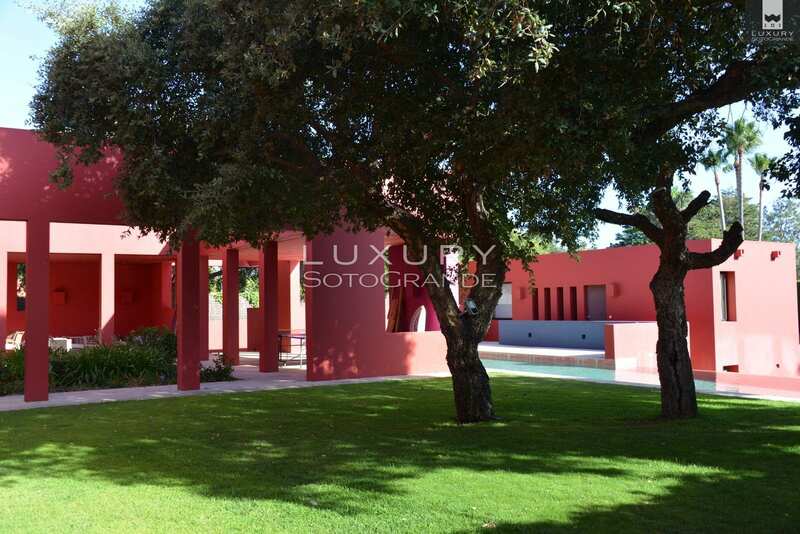 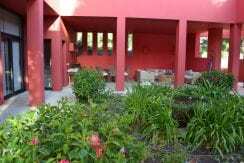 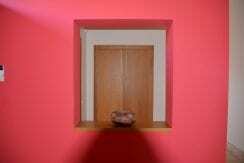 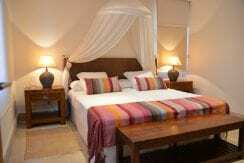 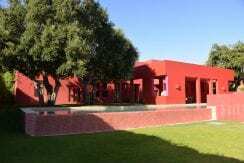 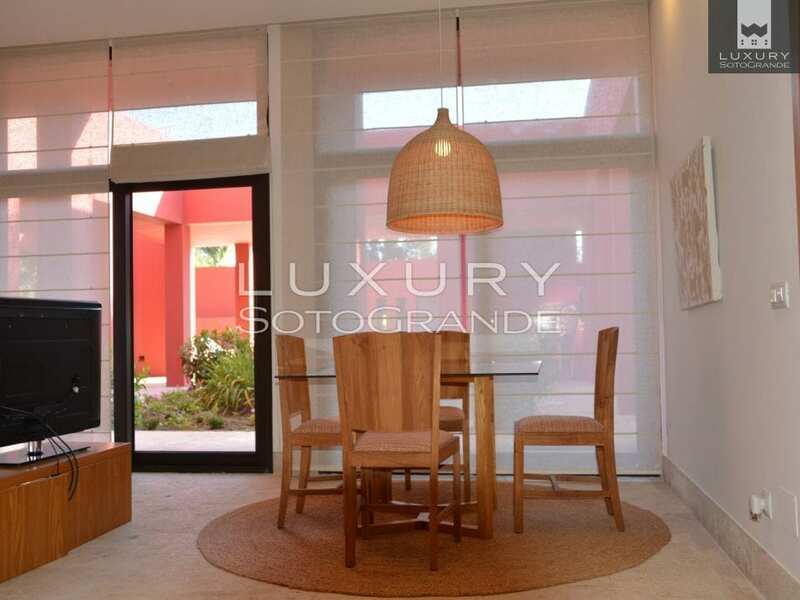 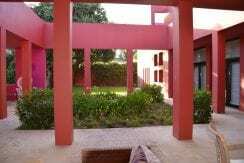 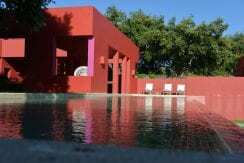 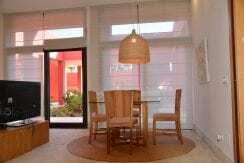 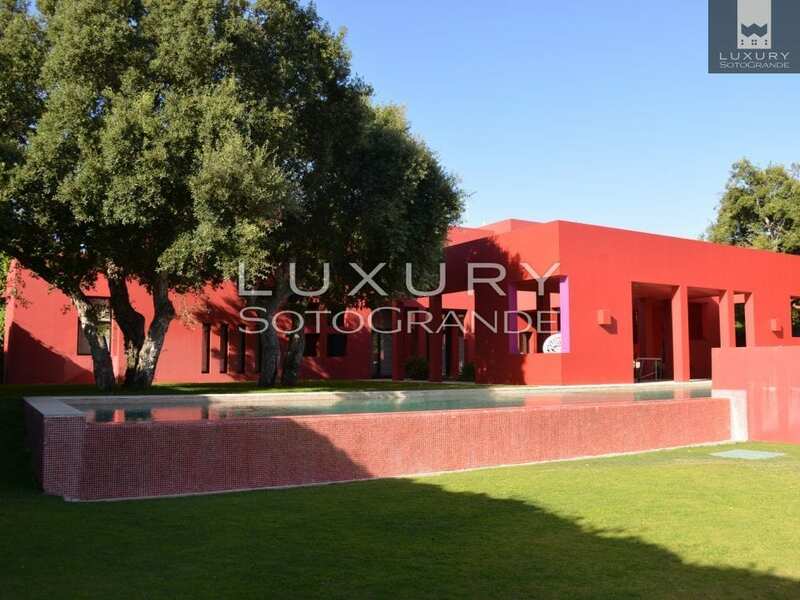 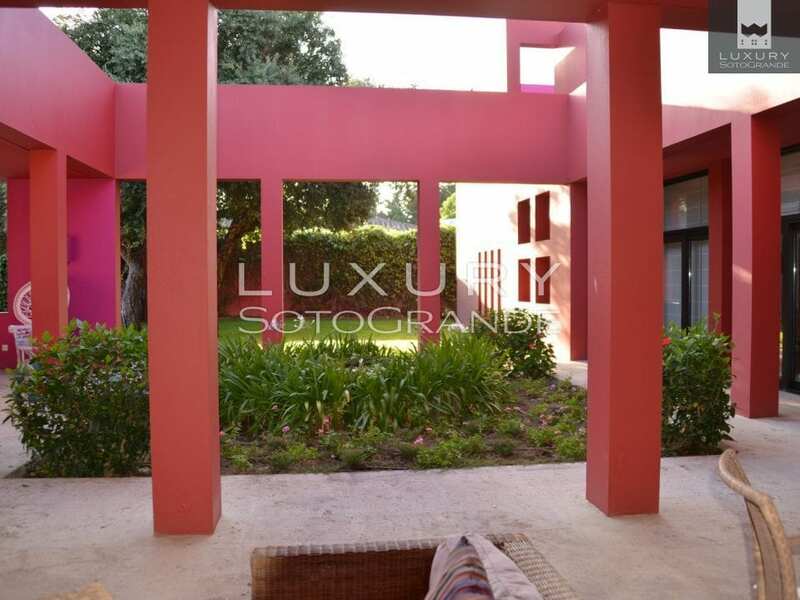 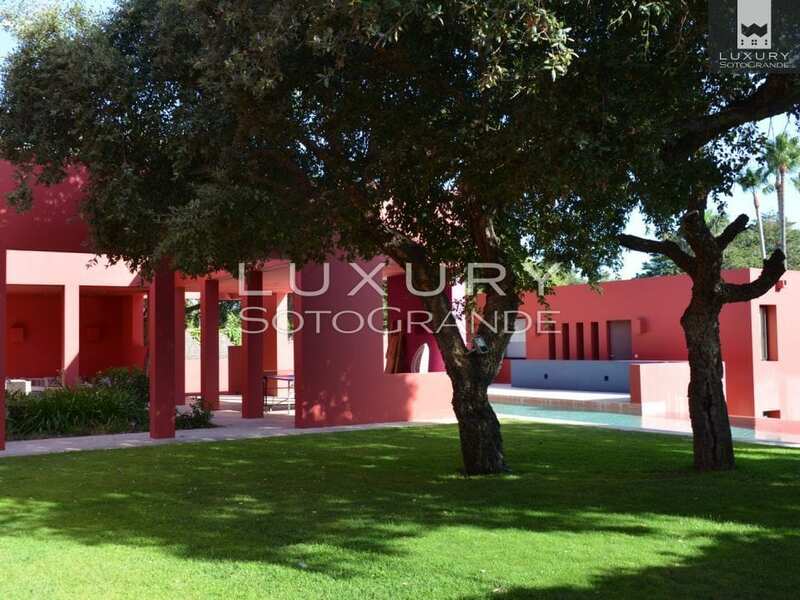 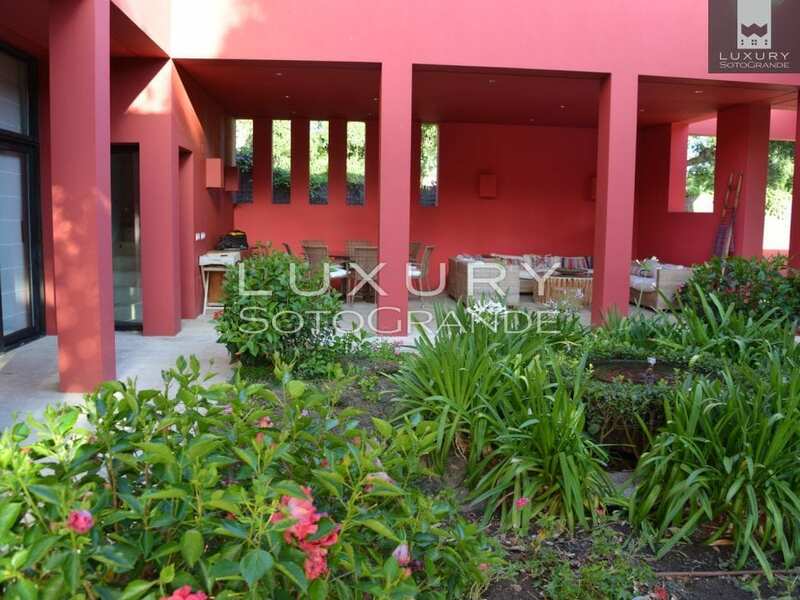 The villa has a contemporary feel to it with its ruby-coloured walls and beautiful surrounding garden and pool. 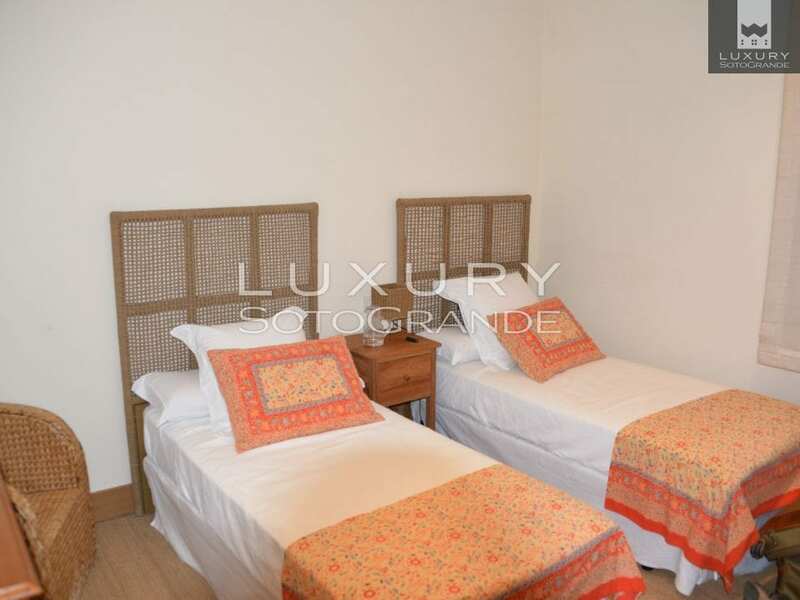 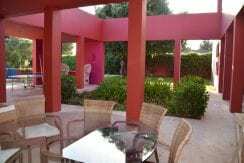 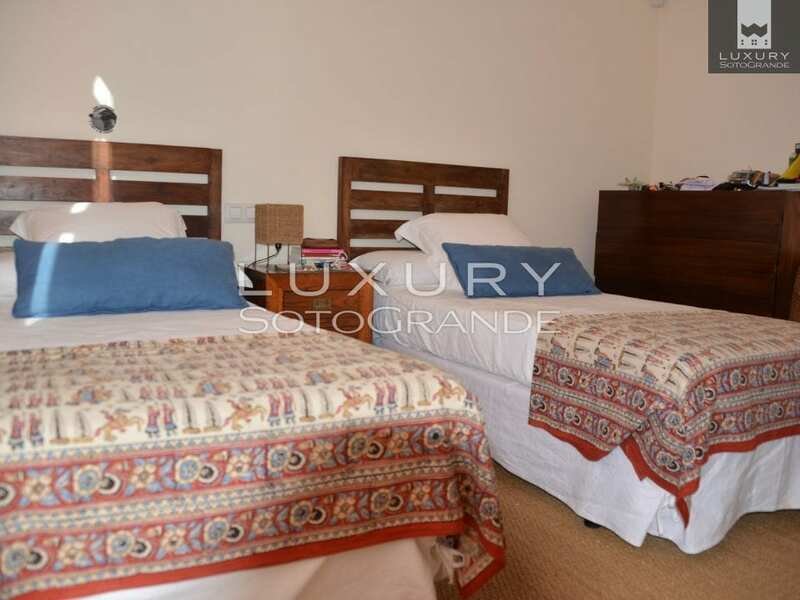 Just a few yards away from the main villa there is a guest apartment which has its own kitchenette, ensuite bedroom and living room with two sofa beds for extra guests. 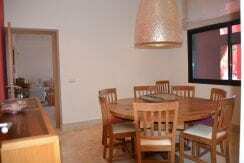 There is air-conditioning and under floor heating throughout. Fibre optic and Apple Tve.